Puzzles are great teaching aids. They motivate the child to learn. 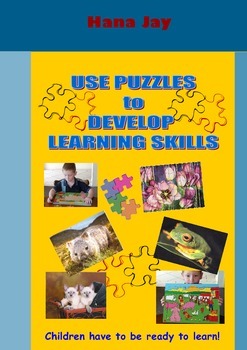 I have used puzzles as a teaching aid for many, many years. They have been a great help in teaching children to focus, to begin and finish a task, to follow instructions (as you help them), to think and to work step by step to complete the task (puzzle). Puzzles help the child to develop speech, build vocabulary, to plan, to follow instructions, to develop spatial relationships, to improve manipulative skills and by encouraging the child to use both hands improve the coordination of both hemispheres.